Give your digits a sense of style and intrigue when you wear this ring with a triple rope design. 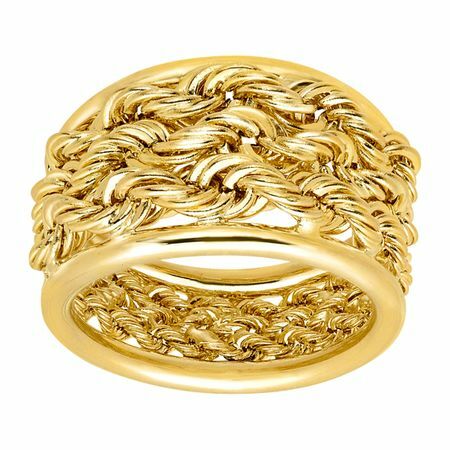 This 14K gold band ring features layered rope chain that are largest on top and get thinner towards the bottom of the band. Ring face measures 1/2 inches in width.